I am such a huge fan of “one pot” or “one pan” or “one dish” no mess casseroles. 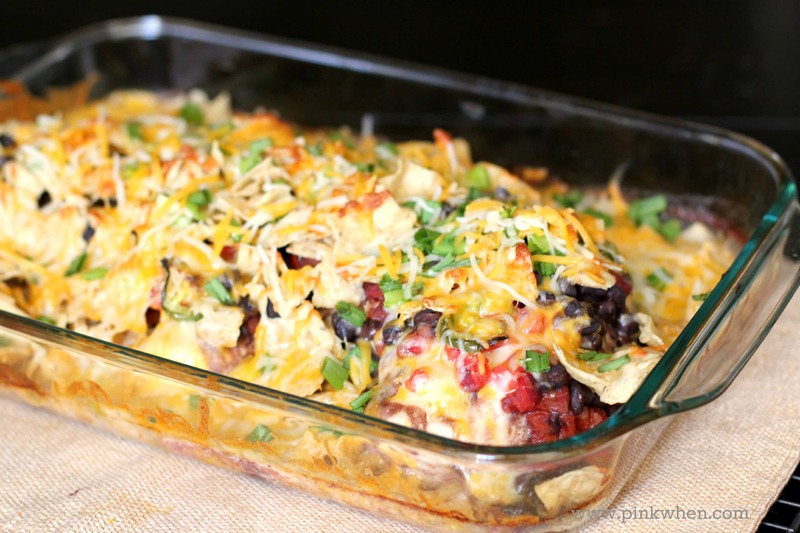 Actually, any recipe like this Southwest Cheesy Chicken Casserole and I am hooked. I have been thinking of all of my favorite dishes and what I would like to share next, and this one was on the top of the list. 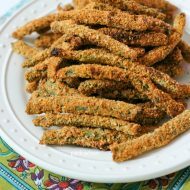 With football season coming up, it’s perfect for serving and a simple dish that will have everyone asking for seconds. 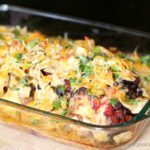 Learn how to make this easy Southwest Cheesy Chicken Casserole Dish and WOW your friends and family. 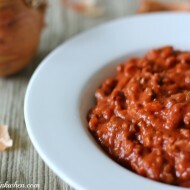 For this dish you will only need a few ingredients to make it AMAZING! You don’t have a lot of preparation for this easy dinner dish, which is why it is one of my favorites. With just a few ingredients you can make a delicious cheesy chicken casserole in about 5 minutes prep time. The rest is done in the oven. 1. To get started, heat oven to 350 degrees. Take a 9 x 13 dish and place chicken breasts along the bottom. I like to leave mine whole, but if you are serving a large group of people, you could always bake ahead of time and shred to make it go a bit further. 2. Top chicken with Rotel, black beans, and sliced jalapeno. Place dish in oven and bake for 45 minutes. 3. Sprinkle tortilla chips, green onion, and shredded cheese over chicken and bake for an additional 15 minutes. 4. Serve with rice if keeping them whole, or wrap in tortillas if you shred the chicken before baking! I personally love to serve it with rice, but I am a big fan of rice. There are really so many option with this dish! This is such an EASY dish to make. It’s a perfect dinner for after school or for football season. My entire family loves it! Do you like to make “one dish” dinners? 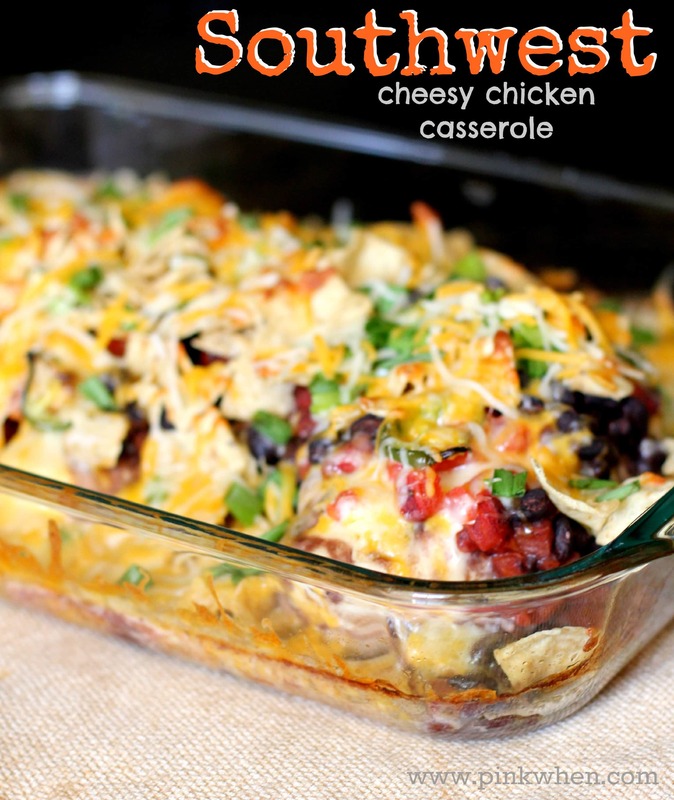 Share this with your friends, and tell me what you think of this Southwest Cheesy Chicken Casserole Dish! Looking for more dinner ideas? 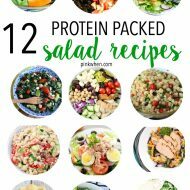 Check out this great list of easy recipes for dinner, these Keto Crock Pot recipes,or this delicious chicken noodle casserole dish. 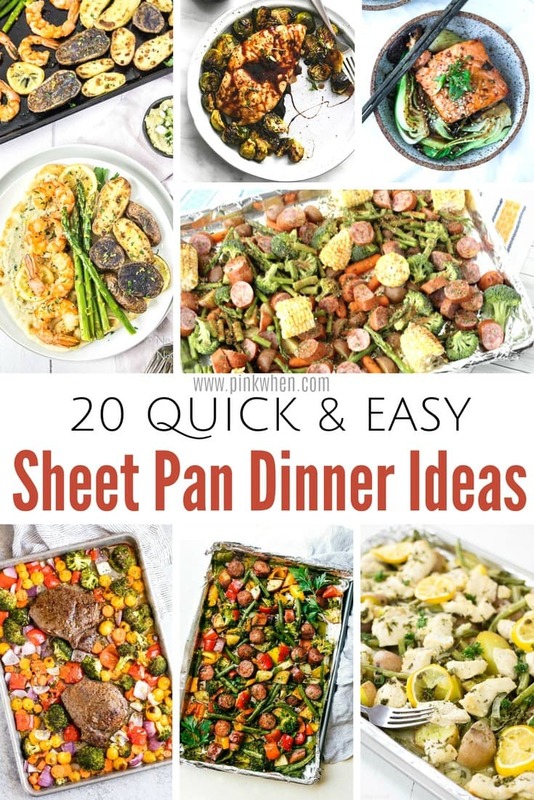 You might also like this great list of 22 Sheet Pan Dinner Ideas. Looking for a little to no mess dish? This Southwest Cheesy Chicken Casserole is one of the best. Heat oven to 350 degrees. Take a 9 x 13 dish and place chicken breasts along the bottom. I leave mine whole, but if you are serving a large group of people, you could always bake ahead of time and shred to make it go a bit further. 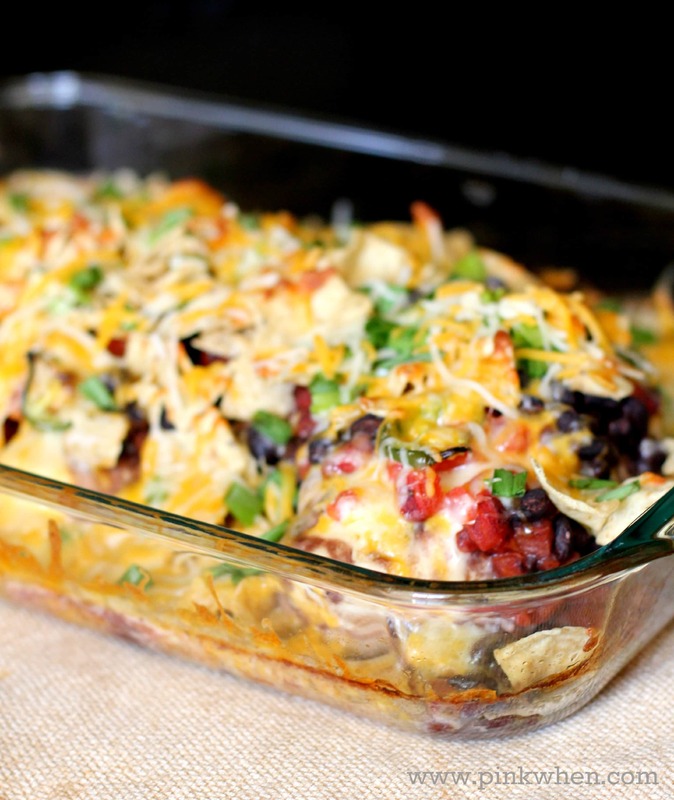 Top chicken with Rotel, black beans, and sliced jalapeno. Place dish in oven and bake for 45 minutes. Sprinkle tortilla chips, green onion, and shredded cheese over chicken and bake for an additional 15 minutes. Serve with rice if keeping them whole, or wrap in tortillas if you shred the chicken before baking! If I use shredded cooked chicken how long should I cook? Hi Rose, I would cook it for the same amount of time. I cook all of my chicken dishes for 45m to an hour. Hope that helps! I love one dish dinners. One of my ask away friday answers recently was about that! Speaking of AAF, we may be due for a Scarlet/Addy one! I had to Google what Rotel is. Yum! Sounds super tasty! Thanks for sharing! I prepared this for supper tonight. It was yummy and simple. Thank you for sharing. Yay! I am so glad you enjoyed it. Do you drain the tomatoes or black beans? Yes, but you don’t have to! Is the whole chicken breasts raw and the shredded cooked? Bake the same amount of time? Hi Bonnie! I like to leave mine whole with this dish, but if you want to shred the chicken, I would boil it for 20 minutes first, then shred, and then back for a total of 45 min…30 to bake and then 15 with the shredded cheese. Hope that helps! Rotel is actually a canned food here in the states used in dips and dishes. It’s a can of dices tomatoes with finely chopped green chilis. It gives your dish a little “kick”! How may does this serve?? This serves between 4 and 6 good servings. You may even be able to squeeze more out of it if you shred the chicken. Do you rinse the black beans or just pour in the entire can with juice? hi Meghan! I will rinse them before I place them in the casserole. I am planning lunch for a family gathering, 12 people, 2 with gluten allergies. I’ll need to make two pans, but it looks easy, delicious and perfect for our needs. I may add a cup of rice and two cups of chicken broth UNDER the meat. Rather than cooking the chicken ahead of time and shredding, I am thinking of cutting the raw chicken breasts into cubes and then making it as the recipe suggests. I like the idea of the chicken cooking in the dish to flavor the other ingredients. Wow!!! I made this for dinner tonight and is was so delicious!!! I served it with some Avocado Lime sauce and it was oh so good! This is definitely going in the regular rotation!! When you put your chicken in whole is it raw or cooked? Hi. I just want to note that there’s a typo on yummly and it’s a big one! Instead of Rotel with a capital “r” it says rotelle…like the pasta! So I ended up doubling the recipe and making two baking dishes of casserole with pasta and no diced tomatos! As you can imagine the chicken is extremely dry, almost inedible, so I’m very disappointed. No fault of yours of course. I’m sure it’s delicious when made properly! But you may want to change the ingredient listed to Rotel diced tomatos (this is a brand I have never heard of…but would have googled had I seen it spelled correctly.) Thanks!